Timber framing has been used to build all kinds of structures throughout history by a myriad of different cultures and civilisations. This means that there are many different types of framing techniques that have been used throughout the centuries with huge success. Box frame is the simplest framing method and uses straight vertical and horizontal beams to create a structure. The rood is comprised of common rafters which are supported by the exterior walls (without purlins and trusses). The structure is separated into bays with additional post and tie beams increasing the stability of the structure. You can make the frame more secure by utilising the post and truss method. 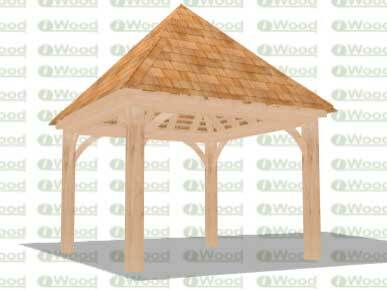 This adds extra support to roof through the use of trusses and purlins. Each variation has its own benefits and have been used throughout England. This type of framing uses interior posts to help carry the structural load and is often used for larger structures like oak garages where they are wider than box frame structures, so they require more support. 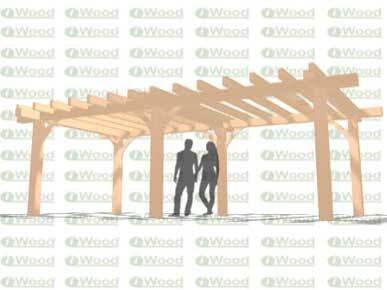 We are now supplying kits for Oak gazebos and pergolas which are expertly machined so that they can be erected easily by a builder, with no joinery or carpentry skills required. Each structure is custom built to your requirements so there is a lead time of around 6-8 weeks. We have designed an online designer suite so that you can render your ideal structure our website and order exactly what you would like. So, take a look today at what we have to offer.